We normally hear about Kenyan chess players taking part in the Olympiad, World Youth Championship, Africa event etc. We have never had a player taking part in a World Chess Championship event. Well this has now changed as Clement Chomu Miheso has just returned from the 2nd World Chess Championship for Disabled which took part from 17th to 25th October 2015 at the Wyndham Garden Hotel in Dresden, Germany. 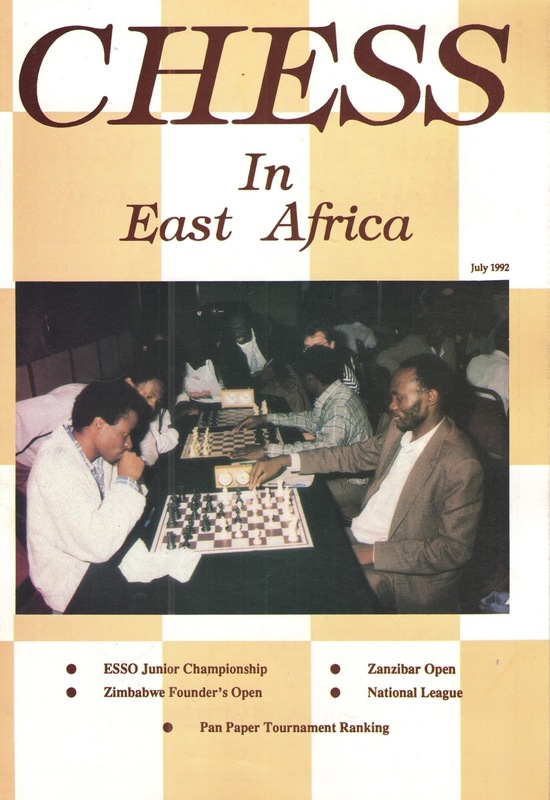 Clement Chomu Miheso who is affectionately known to us as “Champ” was a former Chairman of Kenya Chess Association and Nairobi Chess Club in the period 1980s to around the early 1990s. Those were interesting days for Kenyan chess. Events were usually run over 2 weekends and the time control was 2 hours for each player. In a number of events each player would get a soft drink and half a loaf of bread as a lunch time snack. Players would meet at St John’s Gate which is near the Kenyan Parliament every Wednesday evening and Sunday afternoon. The masters of those days were Saif Kanani, Emmanuel Kabuye, Sam Oulo amongst many others. The biggest event in those days was the annual Pan Paper Open which was traditionally held over the Easter weekend which attracted a big contingent of Ugandans and a couple of Tanzanians. Number of players would range from 100 to just over 200. In his time Miheso was an incredibly hard working Chairman who organised a number of other events like the National League, ART Open etc. He was also the first publisher of a chess magazine in Kenya called “Chess in East Africa”. It ran for 2 editions but closed down due to various reasons. 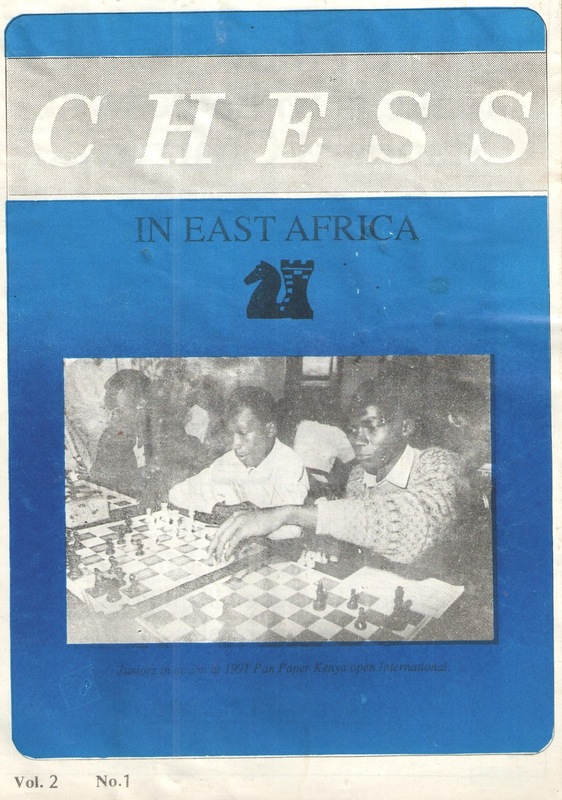 In 1993 a group who called themselves “ROCK” which was an acronym for “Revitalisation of Chess in Kenya” put up a spirited campaign to remove Miheso from office. Miheso then faded away and only returned to competitive chess in the past few years which was great to see an old friend once again in action. A total of 63 players from 14 federations were present during the 2nd edition of the event which is organized by ZMDI Schachfestival Dresden e.V. The earlier edition were held in 2013. The opening ceremony was attended by the Mayor of Dresden Dr. Peter Lames, the President of the German Chess Federation Mr. Herbert Bastian, the Chairman of the FIDE Chess for the Disabled Commission Mr. Thomas Luther and the FIDE Executive Director Mr. Nigel Freeman. Miheso rated at 2120 is the 4th highest rated player in Kenya. It was great to finally see a Kenyan player at the World Championship stage. Miheso ended up with a respectable 3 points out of 7 to end in position 47/63. Congratulations are in order from us at Kenya Chess Masala for this performance. This event attracted a variety of players who had various disabilities. However there is one story of one of the participants which caught my attention. Shailesh Nerkikar from India who ended with 2.5 points. Shaliesh is suffering from a rare disorder which has caused his bones to shrink. He is unable to sit or stand and plays his games lying down on a bed. When you see the photo below it just shows true grit and will power of an amazing chess player. There were a number of blind players as well in this event. Blind people who play chess are just in a class of their own and I have immense respect for them. We at Kenya Chess Masala congratulate the organisers for putting up an impressive tournament. In Kenya we have our own heroes who are disabled. The first one that comes to mind is Sandip Shah who is confined to a wheelchair. Sandip was the person who trained hundreds of chess players from around Parklands areas in the 1980s. He has stopped teaching for a number of years which is really sad. I hope to have a story on him in the near future. The other hero we have is Henry Wanyoike who is a blind marathon runner who is an Olympic gold medalist at the 2000 Sydney para Olympics. He currently holds the world record in the marathon for blind runners. I unfortunately do not have a photo of him that I can use in my story.